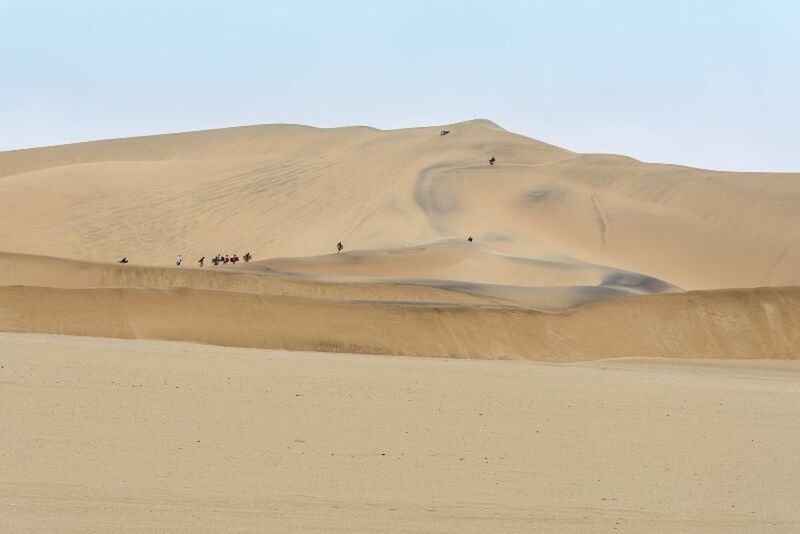 An unforgettable experience in the middle of the beautiful Namib Desert. There is a lot of fun and adrenaline guaranteed! Off to the desert! Wind in your hair, sand between your feet and pure adrenalin coursing through your veins - that's what the dunes of the Namib Desert hold in store for you. The Namib Desert is one of the world's oldest deserts. It also houses some of the largest sand dunes on earth. 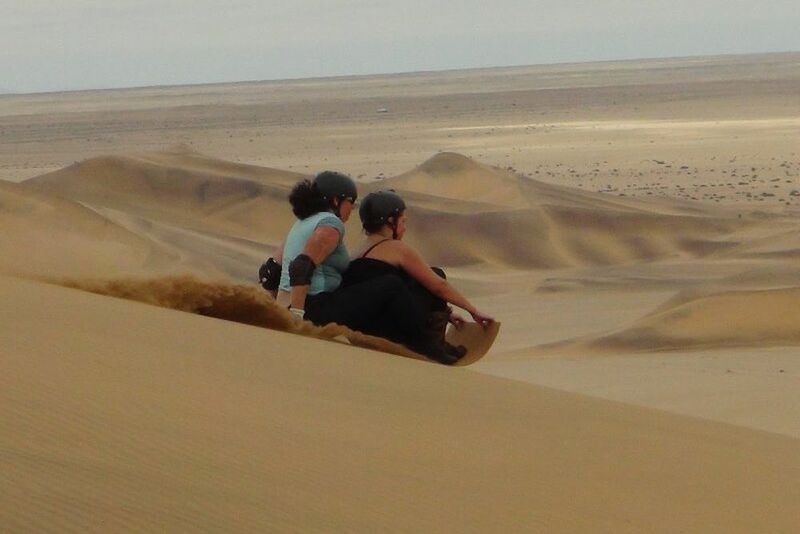 There's no better way to experience this natural marvel than head down or jet down a traditional Swakopmund sandboard. Over the years, the equipment has evolved from a simple piece of cardboard to special snowboards built for acceleration on sandy surfaces. 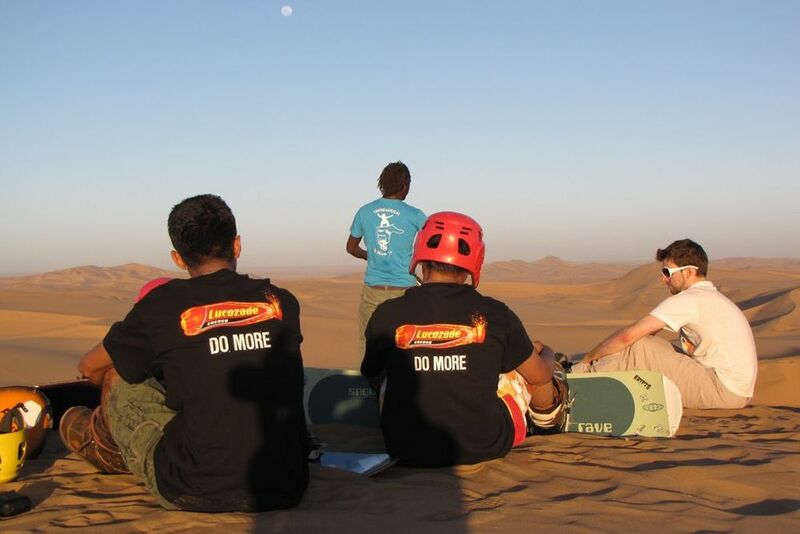 There are two types of sand boarding: "standing" and "lying down". 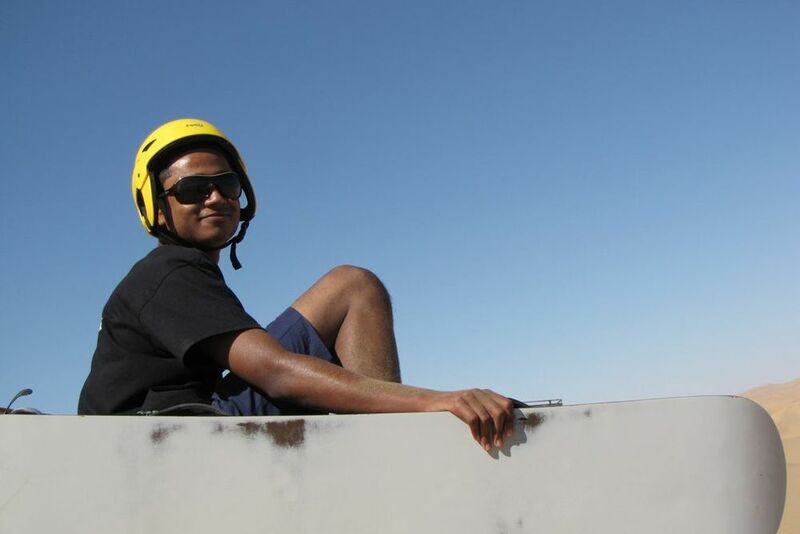 For lying down, you will slide down a dune on a specially polished board and reach speeds of up to 80 km per hour. Previous knowledge is not required. You will "surf" through the dunes. It is good to have some snowboarding or surfing experience, but it is not necessary.